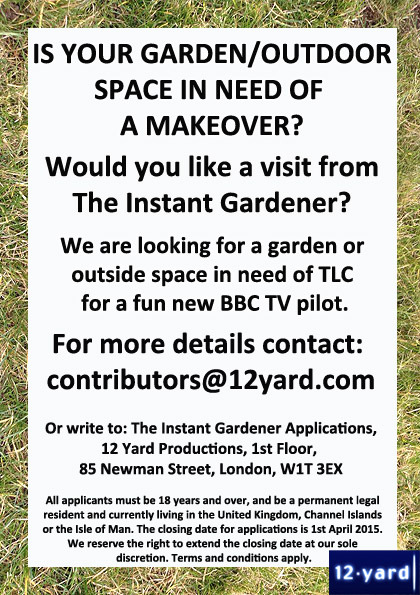 A new BBC pilot ‘The Instant Gardener’ (working title), are looking for contributors with a garden or outside area that is in need of a makeover. Please see the details below. In addition, the Plant Fair Roadshow returns to Telegraph Hill Centre on Saturday 30th May 1 – 4pm. Drop by and get expert advice from plants people, buy plants and learn new techniques.